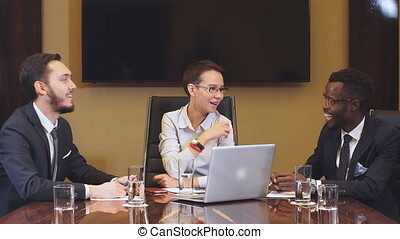 Boss discussing figures with his multi-ethnic professional team. 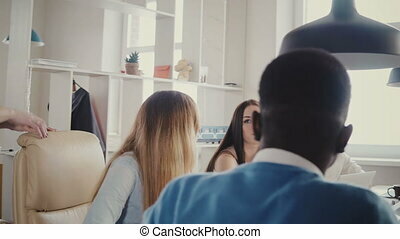 Boss discussing figures with his multi-ethnic professional team. 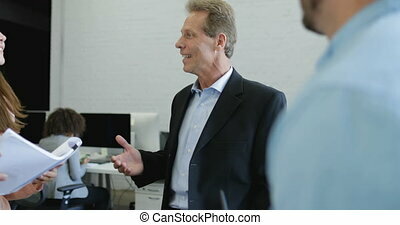 Boss Discussing Figures With His Multi-Ethnic Professional Team. 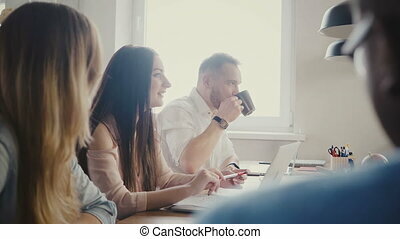 Confident female boss speaking at office meeting with multiethnic colleagues. Beautiful businesswoman motivates team 4K. 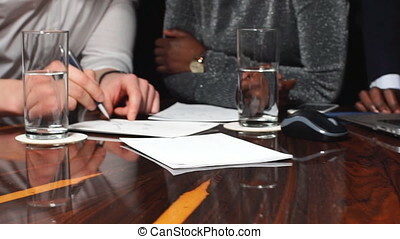 Multiracial friends discuss work and brainstorm at business conference meetup. 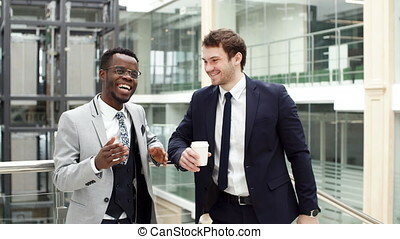 Cheerful African American boss in formal clothes smiling and discussing financial success with his Caucasian investor in cafe. 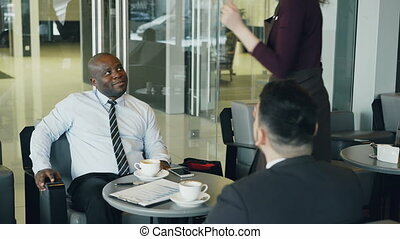 Cheerful waitress bringing cup of coffee to joking chief. 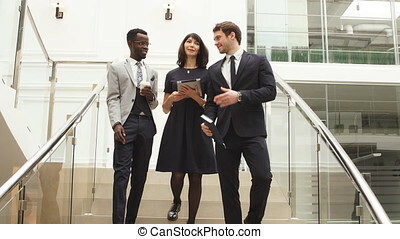 Serious female team leader talks to multiethnic employees, walks away. 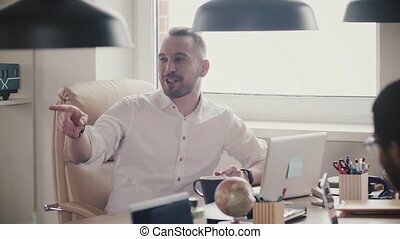 Workers agree with boss in modern loft office 4K. 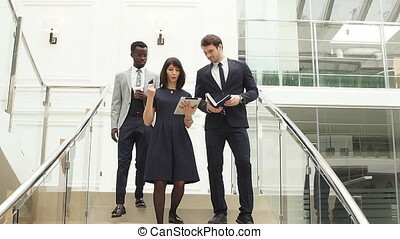 Confident executive lady gives directions to young millennial colleagues. 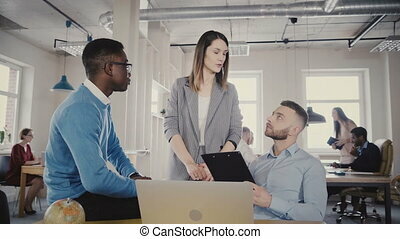 Beautiful female CEO discussing work process with young multiethnic colleagues, looks at laptop screen in loft office 4K. 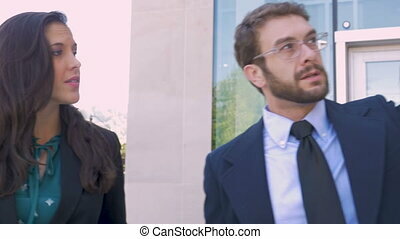 Friendly woman team leader provides assistance to troubled employees. 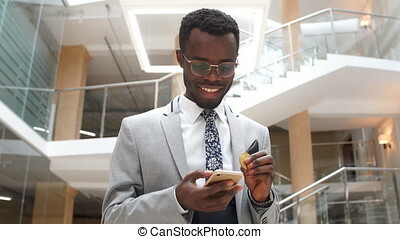 Happy European young CEO discussing international partnership with multiethnic colleagues at modern office meeting Millennial multiracial successful business people smile in trendy loft coworking. 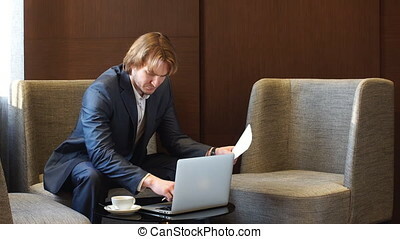 Portrait of a young businessman with a short wash, who lowers his head in the office. 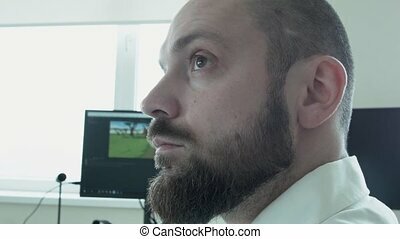 Close-up of a person in profile. 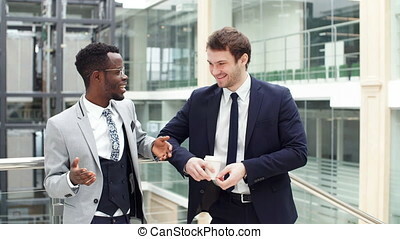 Multiethnic colleagues talk in modern office. 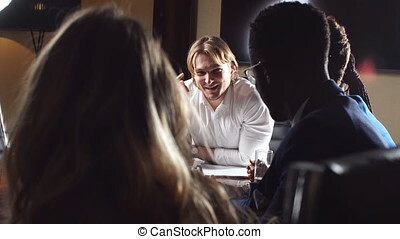 Young happy Asian man discussing work with beautiful Caucasian girl 4K, panning left. 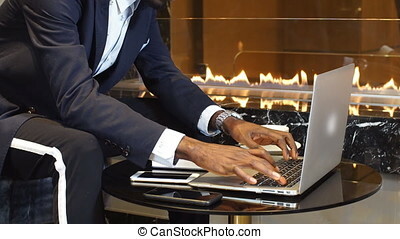 Multiracial business employees chat in trendy loft coworking. 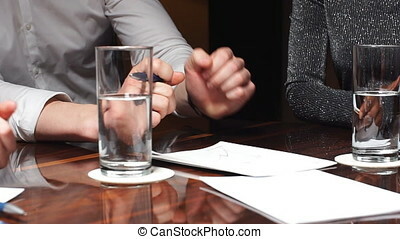 Camera follows female CEO motivating workers. 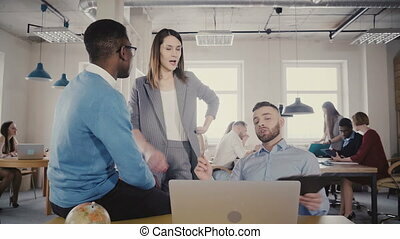 Woman boss chats with colleagues, gives them directions in loft office 4K. 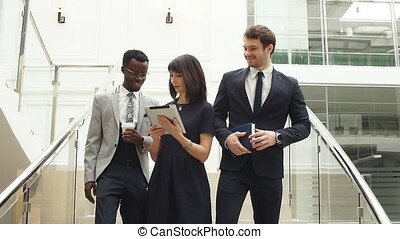 Casual young happy diverse employees work in modern light coworking space. 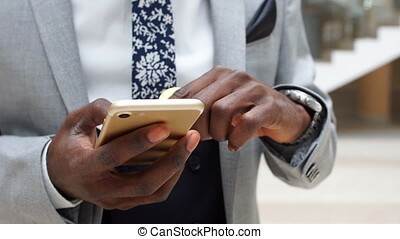 Happy African American employee sits on office table, shakes boss hand, smiling, playing with ball slow motion close-up. 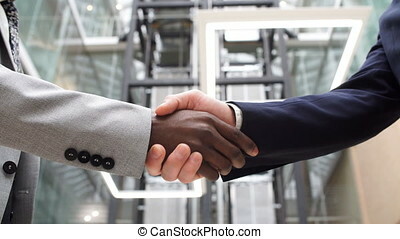 Young businessman gives a handshake to partner in suit at healthy workplace.